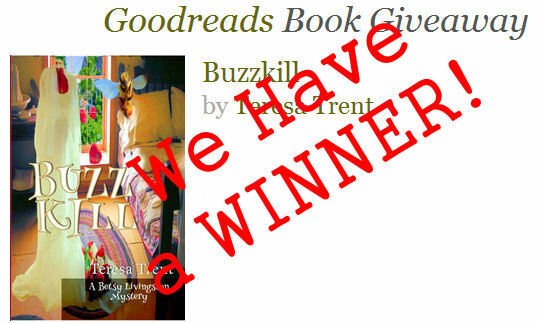 We have a winner for my Goodreads Giveaway of Buzzkill. Melissa from Birmingham, Alabama was the lucky recipient out of almost 500 entries. Thanks everybody! My friend, Gayle Carline, has her excellent mystery The Hot Mess FREE on Kindle for three days. Love her books and this one is free! Sadly, Barbara Mertz who wrote under the pen names of Barbara Micheals and Elizabeth Peterson passed away this week. She was 85. One of the first mysteries I really enjoyed was Ammie Come Home. My mother read the book and then passed it on to me. Good stuff. Buzzkill has been in the top 100 Cozy Mysteries for the last month! Thanks for the downloads and reviews. I really enjoy your books! Im on the “Great Escape Book tour”, looking forward to it!